Muslim Brotherhood wins 15 seats in Jordan's 130-member parliament. The Muslim Brotherhood in Jordan won 15 seats in the country's 130-member parliament, it announced Thursday, according to The Associated Press. The announcement comes two days after 1.5 million Jordanians voted for parliament under a new proportional system. The Muslim Brotherhood's so-called political arm, the Islamic Action Front, boycotted elections in 2010 and 2013 to protest the previous system, which it said unfairly favored pro-monarchy tribal representatives. The new coalition will be the largest voting bloc in the new parliament, enough to serve as a vocal opposition but likely too small to challenge establishment legislators, noted AP. The Jordanian branch of the Muslim Brotherhood was designated by the kingdom as a terrorist group in December of 2014 and one of its top members was later charged with "souring ties with a foreign country" by criticizing the United Arab Emirates (UAE). The kingdom arrested several members of the group after they publicly criticized the government for not taking stronger measures to censure Israel after the Gaza war in the summer of 2014. The Muslim Brotherhood’s Jordanian branch cut ties last March with the region-wide movement based in Egypt. 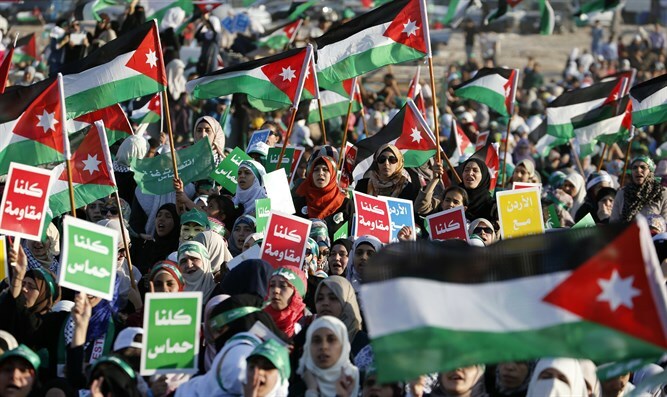 The Jordanian branch objects to Jordan’s peace treaty with Israel and has often organized protests calling for its cancellation.